THE courier and cargo business has bright prospects and is expected to see an estimated 5 percent growth this year. "Indeed, the forecasted growth is not as high as last year, but this industry is still on the move," said Indonesian Courier and Cargo Association (Asperindo) executive director Syarifuddin in a recent media briefing. Asperindo 2008 data indicated growth of between 6 and 7 percent to approximately Rp 6 trillion last year, while this year the global recession has resulted in a 30 percent reduction in dispatch volume. However, Syarifuddin is optimistic about 2010. "We hope it will be better than this year," he said. Most cargo and courier companies in Indonesia appear to be optimistic too, which is reflected in their new investments. Multinational express company TNT, for example, expanded and renovated its regional hub in Singapore in mid-April. The hub, valued at S$20 million and located in Changi Cargo Complex, has increased the delivery capacity for time sensitive freight significantly. TNT CEO Peter Bakker said, "Asia is a promising market and we are committed and determined to grow our position in domestic, intra-regional and selected intercontinental express flows even further." For TNT Indonesia director Ivan Siew, the various investments in Asia, including the regional hub in Singapore, enables TNT Indonesia to increase its capacity, especially for heavy freight. "We are optimistic that we can reach our growth target of 20 percent in 2009," Siew said. The express division of TNT started operations in Indonesia in 1979 under the name PT Skypak International. Today, TNT's network covers 33 major cities in Indonesia, with 17 branches, 14 agents, 10 depots, six gateways (Jakarta, Surabaya, Batam, Medan, Denpasar and Balikpapan) and 600 employees across the country. TNT's operational and human resources standards have earned the company numerous certificates, such as TAPA A, ISO 9001, ISO 14001, OHSAS 18001, SA 8000 and Investor in People. Similarly, RPX Group's vice president of operations and customer service, M Kadrial, is also optimistic about business. Indeed, the recession has slowed down global business in 2009, but the domestic courier and cargo business is enjoying healthy growth. That is why RPX Group is focusing on the domestic business, especially the premium segment. Ninety percent of the company's customers are corporations with contracts while the remaining 10 percent are retail customers. "To achieve our target, RPX will open new outlets in 16 major cities in Indonesia to add to our existing 300 outlets," he said. The company has three Boeing 737-200F aircraft for its domestic courier and cargo service covering Surabaya, Jakarta and Balikpapan. "We added another plane at the end of last year due to an increase in the volume of our domestic business," he said. Obviously, the courier and logistics business is promising, and it is therefore not surprising that investors - both small and large, as well as domestic and international -- are investing in this business, which is valued at US$1 billion per year for transportation, warehousing, warehouse management, etc. The express courier business, which started to mushroom in the country in the 1970s, has reached its top position at a ratio of 1:5. Logistics later became a global trend with the introduction of the global forwarder. The express courier business in Indonesia is estimated to have a potential of over $100 million, while the logistics industry is valued at $800 million to $1 billion. Although the industry faces various impediments, its prospects are bright. Investment banks JP Morgan, Morgan Stanley and Merrill Lynch predict a 5 percent growth, while the government predicts only 3.5 percent annually. While the forecasts differ, all agree the business has bright prospects. This is because many domestic and multinational corporations use third-party services to handle their logistics needs so that they can focus on their core business. 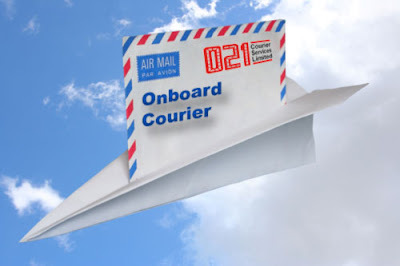 Efficiency and high productivity are also other reasons to use the services of courier and cargo companies. Naturally, just like in any other business, competition in this industry is stiff among domestic as well as foreign players. Each of them claims to provide the best service. According to Indonesian Logistics Association data, there are more than 300 logistics companies in Jakarta, while according to the Courier Association there are 635 courier companies. A number of logistics companies provide total logistics solutions that include distribution network design, warehousing and transportation. M. Kadrial, who is also the chairman of Asperindo, said the courier business was integrated with logistics so that some companies also provided total logistics solutions. "There is no defining line in this industry between express and non-express courier services, or logistics," he said.